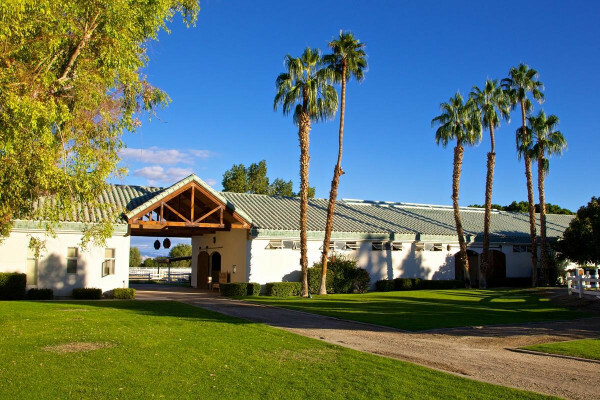 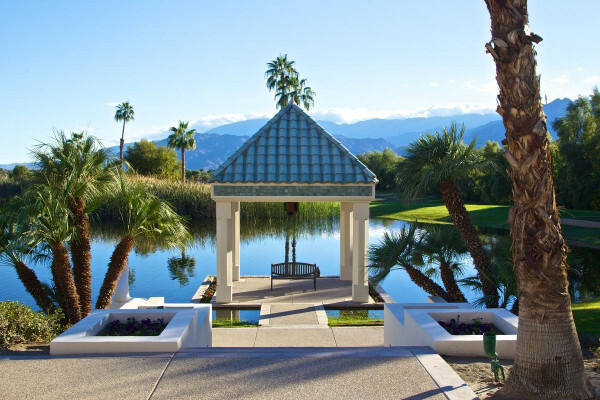 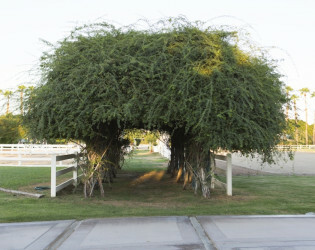 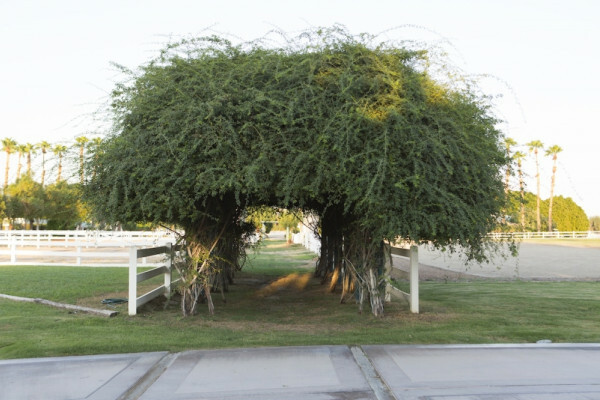 The Merv Griffin Estate is a 39 acre Equestrian property located in the heart of the Coachella Valley. 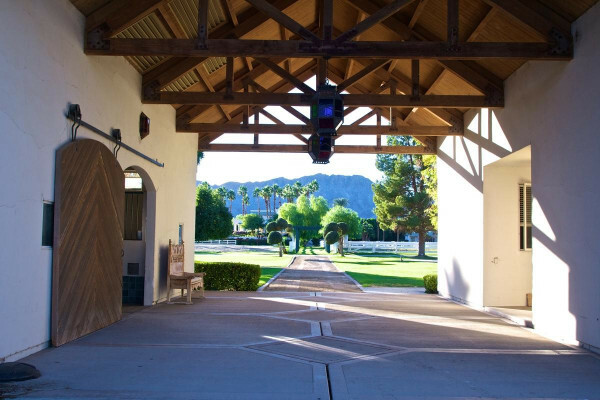 The expansive grounds include a 2.5-acre pond, infinity edge pool, spa, bocce ball court, expansive event lawn and other event areas, equestrian racetrack and multiple paddocks. 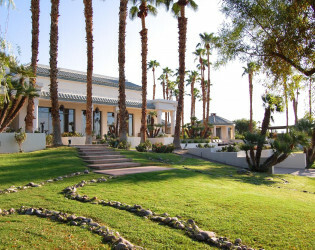 39 acre Equestrian property in Coachella valley with 10 bedrooms, infinity pool, bocce ball court, & equestrian racetrack. 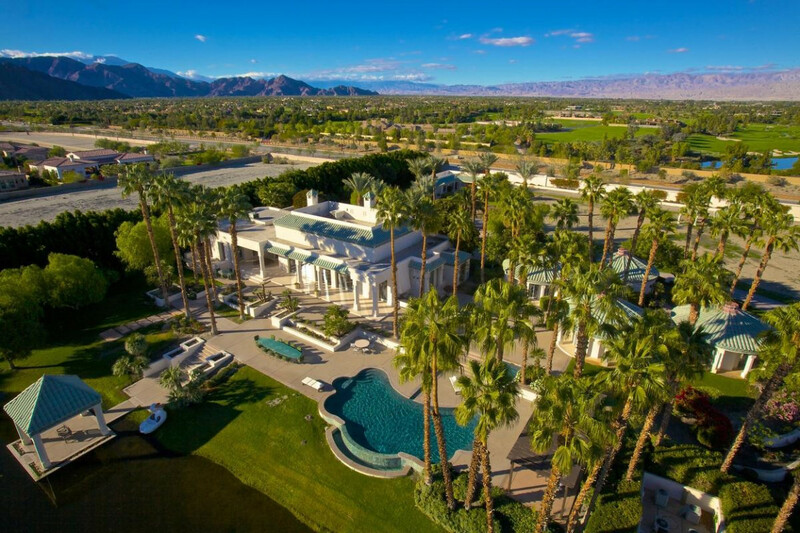 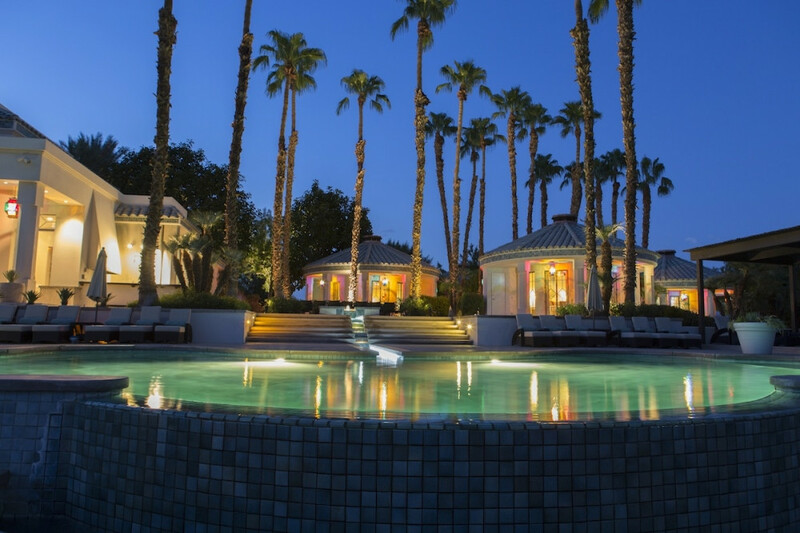 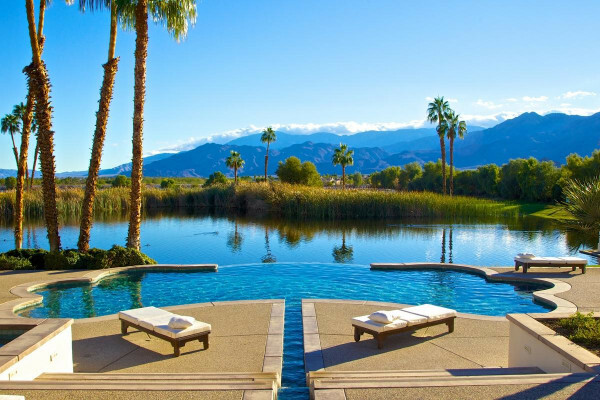 The former home of the late Merv Griffin, The Merv Griffin Estate is a 39 acre Equestrian property located in the heart of the Coachella Valley. The expansive grounds include a 2.5-acre pond, infinity edge pool, spa, bocce ball court, expansive event lawn and other event areas, equestrian racetrack and multiple paddocks. 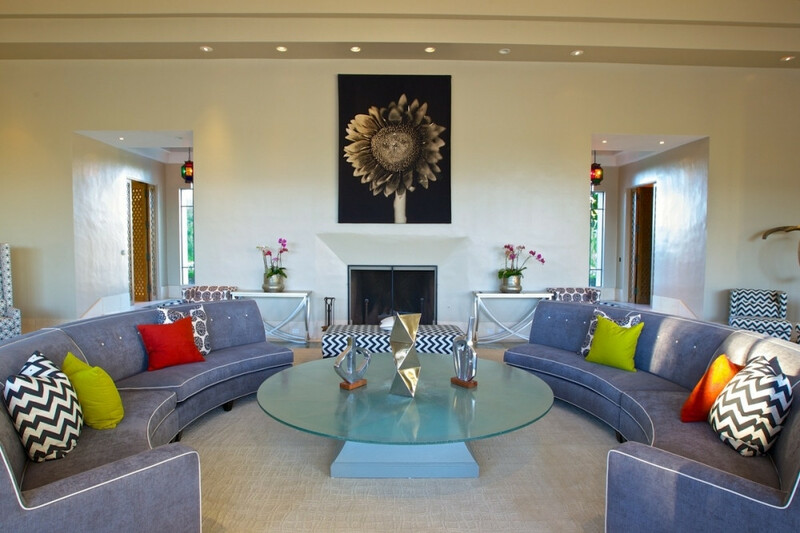 The Main House is over 6,000 square feet and features a stunning Modern Moroccan inspired 1,500 square foot Great Room, ideally scaled for entertaining or hosting even the most lavish events! 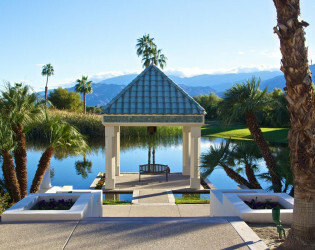 Large doors and windows line the southern wall, providing stunning views of the patios, pool, lake and mountains beyond. 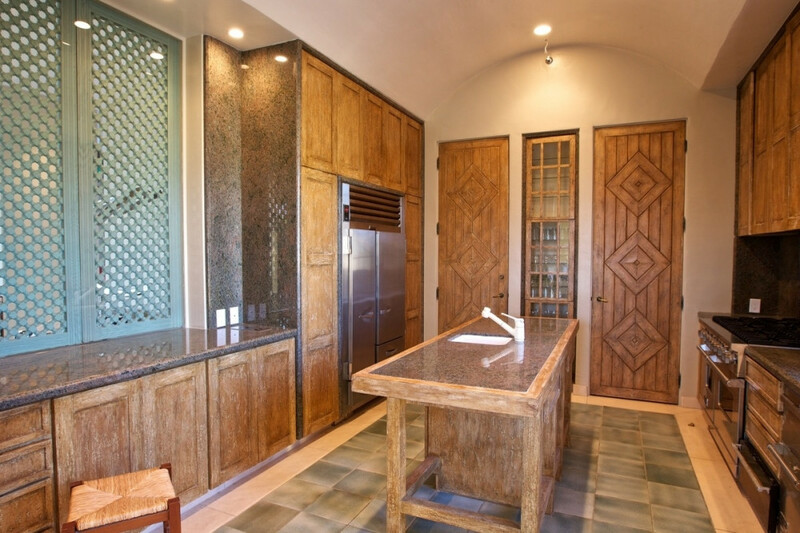 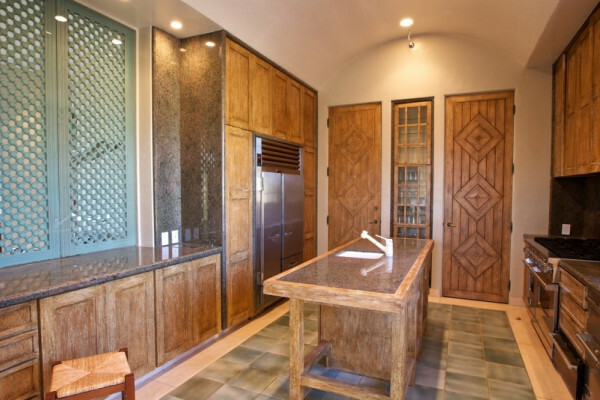 The Main House also offers a large Chef’s Kitchen with a suite of professional grade appliances, fully stocked butler’s pantry and wet bar with icemaker, refrigerator and ice well. 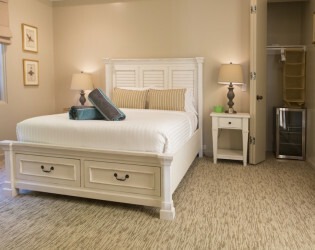 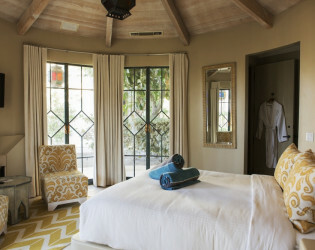 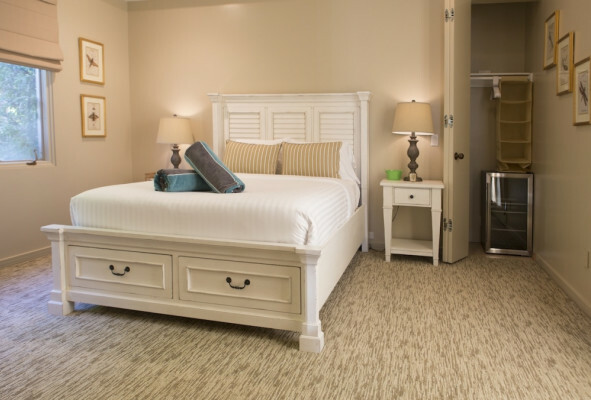 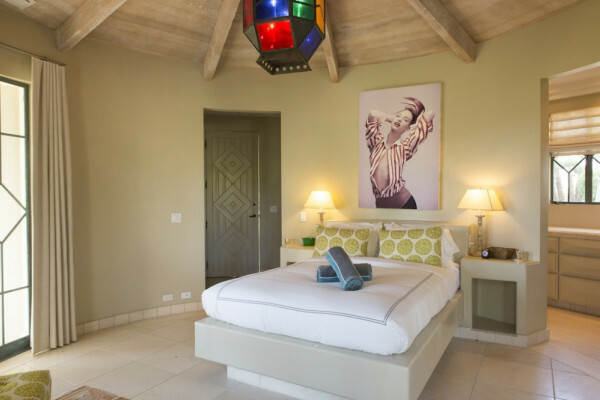 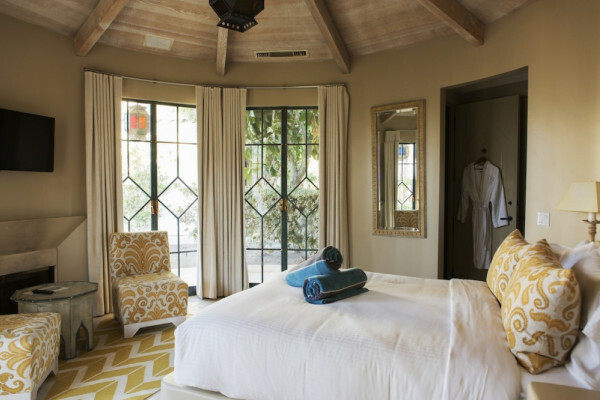 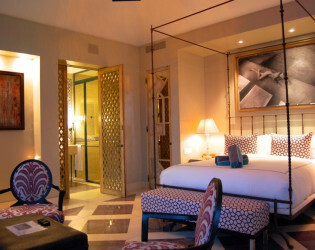 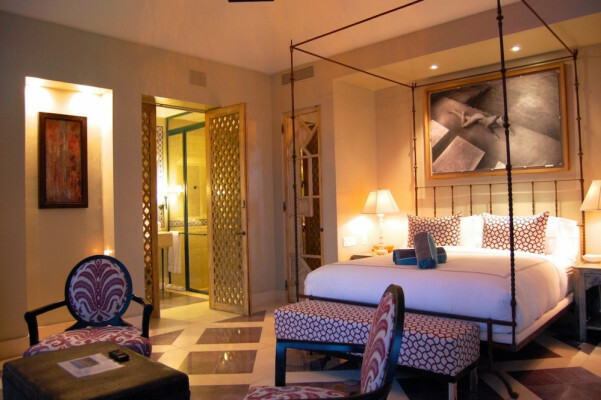 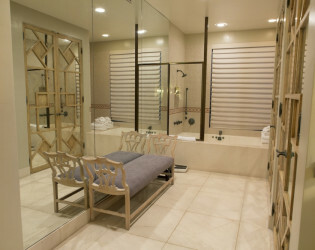 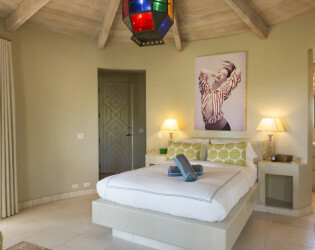 Two Guest Quarters are located in the main house, and each feature private en-suite baths, flat screen TVs and direct access to the pool patio. 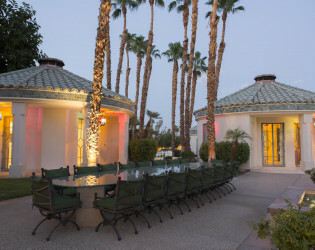 Four separate Guest Bungalows are located to the east of the main house. 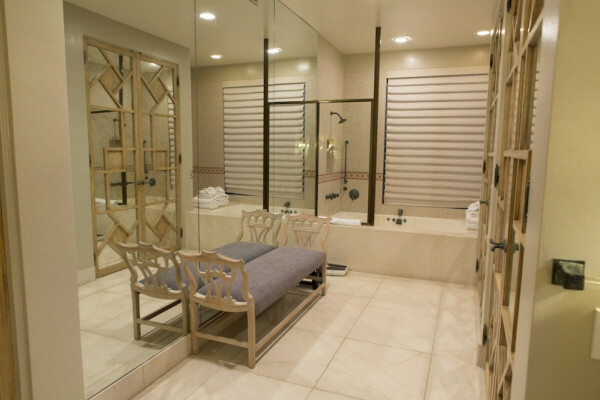 Each of the circular shaped units feature a private entry, flat screen TV and en-suite bath with a single vanity and tub/shower combination. 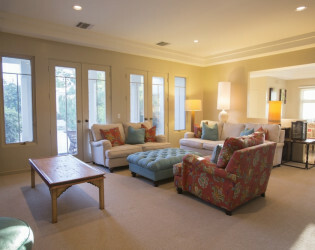 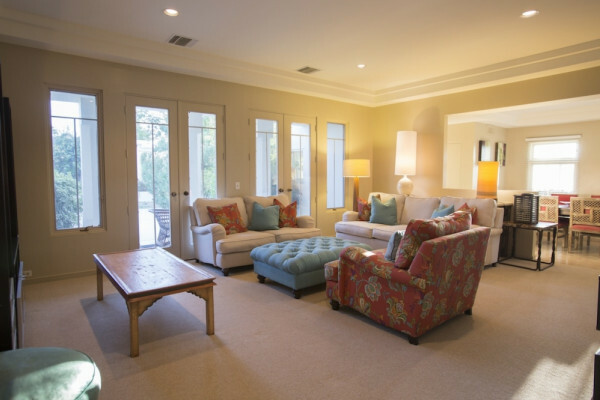 Multiple large French doors provide unparalleled views of the grounds from each of Guest Casita’s. 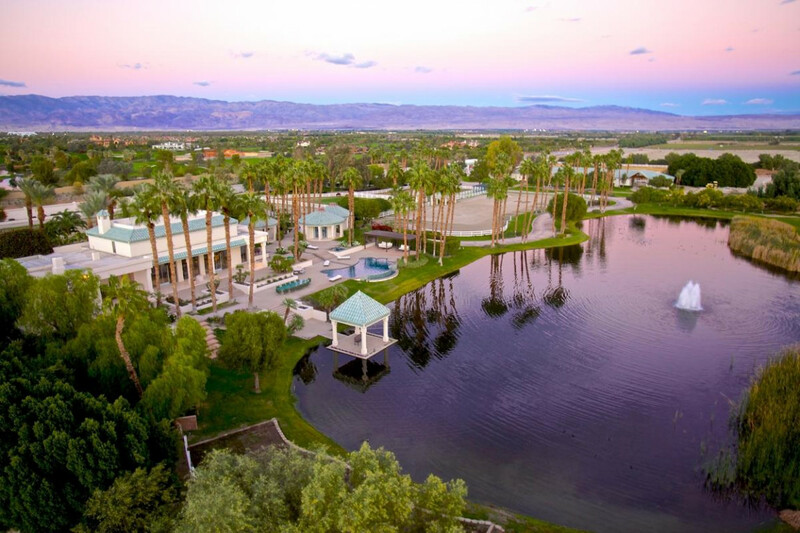 The grounds of the Merv Griffin Estate are quite expansive - there's endless space for you and your guests to enjoy the scenery and design of the estate. Additionally, the Merv Griffin Estate is well-known in the Palm Springs area as an exclusive and highly saught-after event venue. 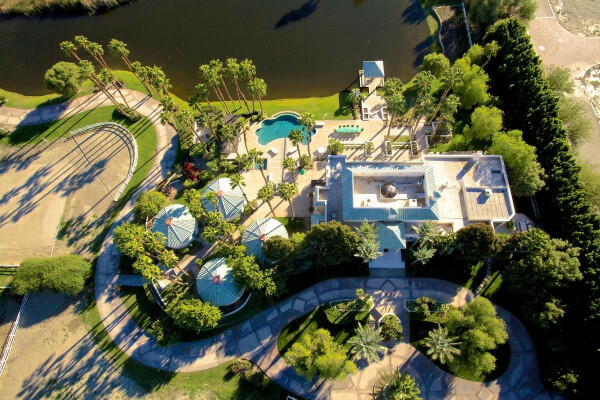 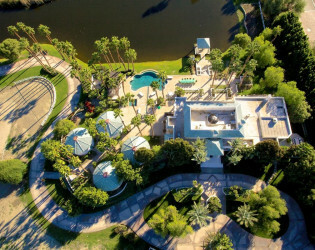 Aerial view of Merv Griffin Estate. 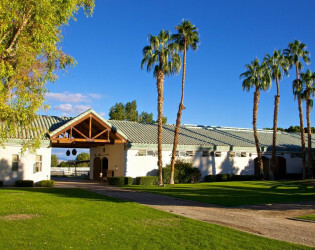 Large doors and windows line the southern wall, providing stunning views of the patios, pool, lake and mountains beyond. 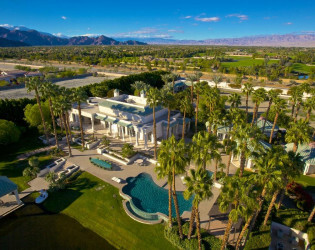 The former home of the late Merv Griffin, The Merv Griffin Estate is a 39 acre Equestrian property located in the heart of the Coachella Valley. 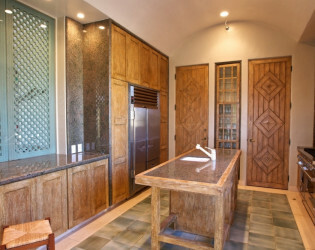 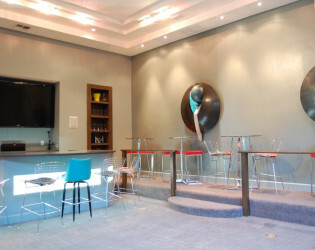 Chef’s Kitchen with full appliance suite. Expansive grounds, multiple living spaces both indoor and out, and a well-tailored design esthetic make the estate perfectly suited for those seeking the most exclusive Desert Retreat vacation experience. 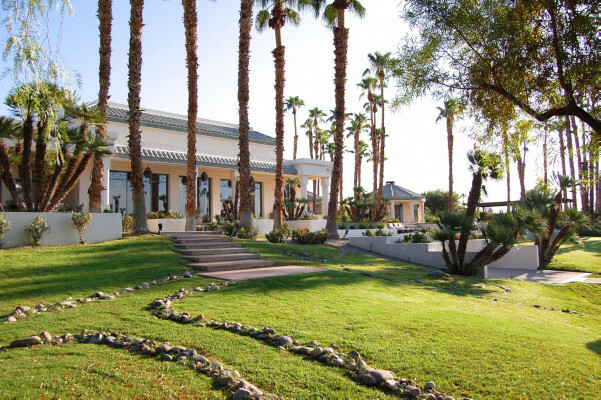 The Main House is over 6,000 square feet and features a stunning Modern Moroccan inspired 1,500 square foot Great Room, ideally scaled for entertaining or hosting even the most lavish events! 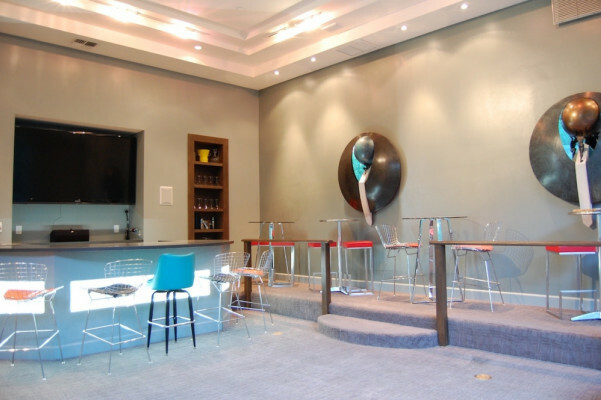 Feel at home at Merv Griffin Estate. Take a dip in the pool on a sunny hot day. 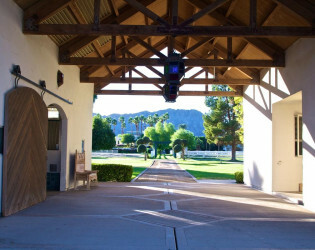 Four separate Guest Bungalows are located to the east of the main house. 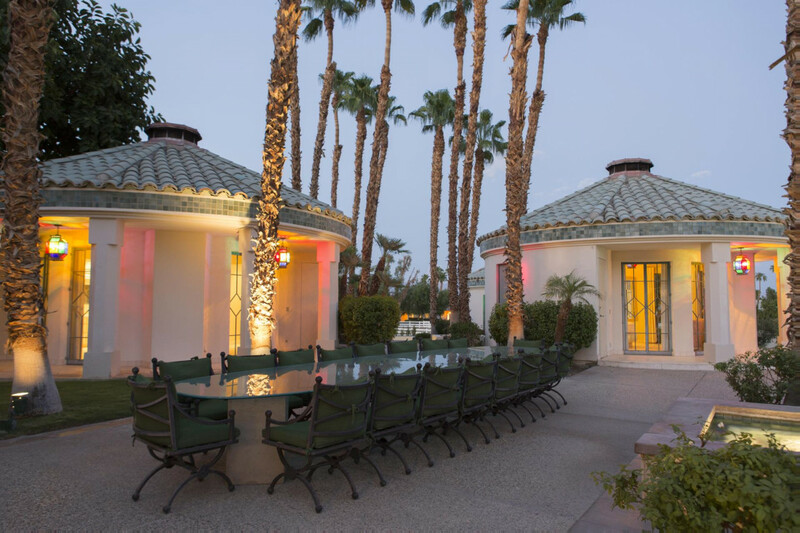 Host an outdoor dinner event. 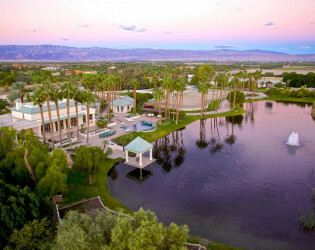 Beautiful sunset over the property.